As well all know, the number of people, who are consuming cannabis these days, is on a raise and apparently, so is the number of dogs. 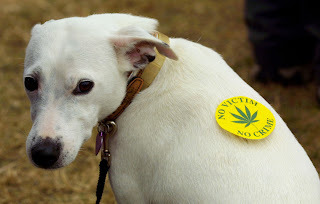 Man's best friend, is also being benefited by some of the new medicinal cannabis laws across the US and the world, which helps prove, that marijuana is more than a medicine and that prohibition needs to be ended once and for all. 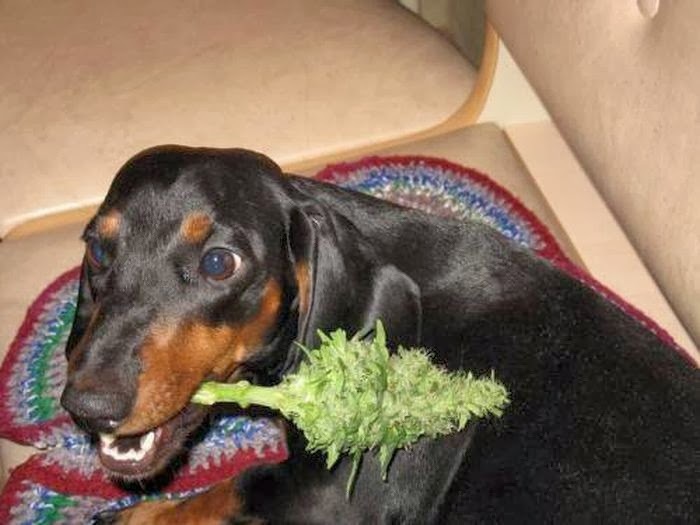 According to some US veterinarians, the number of dogs, that have consumed marijuana is at a raise and this is due, to the fact that US States, like Colorado and California, have decided to make this herb, legal for medicinal purposes. Some of these vets, believe that dogs are accidentally ingesting some marijuana edibles and that some of them, have actually been given this herb, by their owners. While some of these dogs, have had to be treated for consuming too much cannabis, the fact is that it cannot harm them and that we should not really worry about this number being on a rise. Some studies, have proven that the number of dogs that have been treated for consuming cannabis, has more than doubled in the last couple of years and this can only be due, to the fact that marijuana is now legal in several States of the US and some countries of the world. We should not be alarmed about so many dogs, having to be treated for consuming too much cannabis, but instead, we should be celebrating, as this can only mean that the legalization of marijuana is on its way. If man's best friend, has always been beside us, why not bring dogs along, on the cannabis legalization ride with us. If you are one of the people, who likes to share their marijuana with their pets, you should really click on some of the social buttons below this article, so that more people can read about the number of dogs consuming cannabis increasing around the world. You can also subscribe to our free newsletter, by leaving us your email in the box to the right and we will keep you informed about other cannabis related news as well.